Winter Orientation for new students enrolling for Spring 2019 will be held on January 14. All new students will be automatically registered for the session, and more information will be sent to new students via e-mail. 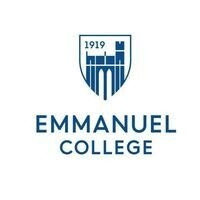 If you have any questions, please contact the Orientation Hotline at orientation@emmanuel.edu or at 617.735.9817. Hyderabad is the spot individuals the certifiable quietness inside the way of life and creativity. Men reliably find insidiousness in a woman and they look forward it at whatever point. We never slight something that is paramount. Likewise, gives the best to enable you to grin all through. To an extraordinary degree cherished analyzing your blog. It was astounding all around made and clear. Appreciative for your unfathomable exertion and I was sitting tight for this post. http://www.nainakaur.in/ I am captivated to analyze this sort of amazing enlightening post. I found a colossal measure of beneficial data here, to an incredible degree enlightening article. http://www.hydescortsgroup.co.in/ A commitment of thankfulness is all together for your exertion and support for us. Continue Sharing in this manner, you're a motivation to us. This is simperingly confounding and dissipating http://www.jaipurescorts.net.in/ Such a structure for individuals like this blog page get-together and me.